Forget What Did: I'm Sorry I Only Connect. Congratulations on Clue! I understand it's a great honour to be invited on and I'm sure you'll be, in the words of Arthur Shappey, BRILLIANT! greetings from Kazakhstan! i love your shows, been listening for CP almost every day for a year now. BRILLIANT!!!! Please tell us there'll be Season 5! And... is it Wednesday yet? I'm sure you did wonderfully! I have been dying for new Cabin Pressure, too; in fact I was just talking with a friend about the potential for episode Z yesterday! I've started a postcard collection and I'm trying to get one from all of the Cabin Pressure cities, so if anyone lives in one of them, please tell me so we can exchange cards! (Or if you'd be willing to create on from Fitton, since it's fictional...) Keep up the brilliant work, John! You're on ISIHAC, one of my favourite radio shows of all time? Brilliant! Congratulations! As for "Only Connect": bloody terrifying. Not you, the show's challenges.
" I will have some news about Cabin Pressure on Wednesday.”" Please! Please! Please! I'm Sorry I Haven't a Clue is back AND you're on it, sir? My heart is soaring this Monday. Huzzah! And Brilliant! And I want tickets. Yes, I am available. Even if it means changing Christmas ticket back from the states! ISIHAC? I salute you Mr F.You are now true comedy royalty, and Humph would be delighted. Can't wait to hear the news about Cabin Pressure! I am a recent convert to the Cult of the Travelling Lemon, but what I lack in punctuality I make up for in boundless, slightly frightening enthusiasm. I couldn't be more excited that you're on I'm Sorry I Haven't A Clue. No, that's not true. I was more excited the moment that Jon Naismith announced that you were the special guest at the Weston Playhouse. I am not ashamed to say I squealed (as did my brother who was also in the audience). I have loved ISIHAC since I was way too young to understand many of the jokes and have loved Cabin Pressure with an unhealthy passion (?) for about 2 years. The sheer luck of being in that audience was something I shall treasure (as was the look on my son's face). You did look a bit nervous at first but I am very pleased to say that you were - to choose an overworked but definitely appropriate word - brilliant. There were a couple of rounds that you did that I think will be classics. I can't say what as I don't want to give spoilers - but wow! You really did make an already special night even better! ... and I had to try really REALLY hard to not shout "what are you doing here, John? You should be writing Z!" Double Finnemore. BRILLIANT! Hope Wednesday's news is 'more Cabin Pressure on the radio'. I just listened to Sorry I Haven't A Clue and you were AMAZING! You have real comedic talent and I can't wait to see/hear more of it. I have been giggling about tunnels since the recording, it was fabulous! I'm looking forward to the broadcast of the second episode. I'm not sure I'm going to be able to hear the word "Danube" with a straight face for the rest of my life. I've been a fan of I'm Sorry I Haven't a Clue since I realised that it wasn't a legal requirement for teenagers to listen to Radio 1 and, thankfully, I found Radio 4 instead. This is the first time I've managed to get tickets to a Clue recording and the whole thing was amazing. As with my annonymous fellow audience member, my sister and I were stunned and delighted that you were a guest. Hope Weston didn't put you off the westcountry. Joy unbounded when I heard you on ISIHAC, and then read your blog! Can't wait for Wednesday meanwhile will tune in to ONly Connect. Shame you won't be up against the Pilots. Perhaps the Clue team can be persuaded to introduce Yellow Car as a new game. I was at the Clue recording in Weston. I drove there from Cardiff with a friend and we listened to a couple of episodes of Cabin Pressure en route. Almost had a stroke when you were introduced as we had no idea you'd be the guest! The whole experience that evening was fantastic. It has to be one of the funniest things I've seen. Don't worry; you certainly didn't mess it up! I'm actually still smiling! Half an hour after having listened to the show. When, after hearing, bemusedly, to the well-beloved name of Tim Brooke-Taylor, I started going through all the names that ever tried to replace Willie Rushton, for the most part, without much success, to be struck, as with the gargantuan Nutella jar I have been asking the Lord for ever since... I could actually talk!, by Jack Dee announcing "And John Finnemore", my hand automatically flew to the Pause Button, smeared with the remains of my late, great Bounty bar, and I found myself with C. P. O. Pertwee's mixture of bafflement and delight murmuring "Ehhhhh?". An Eighteen-year-old loquacious creature can hardly give a well-weighed opinion, yet, forsooth Mr. Finnemore, you are the only one who could make the show go in this long-missed charmingly witty strain, which only Mr. Rushton could provide. That said, I have a question for you. Firstly, your song that begins "Where've they gone, All the days of Summertime.." were you trying to simplify in it Heidegger's, and Nietzsche's, concerns about Technology? I'm studying the former right now, and could not help feeling that this could be an epitome of this loooooong series of lectures, so, am I right? Hmm? I have my own head canon on what the news will be. It is head canon I have long held.....about 11 months actually. Let's see if I am right. You were brilliant on Clue and they should defo make you a regular, Willy Rushton is a very hard act to follow but you're up there. Your well timed lunacy fitted in perfectly with the usual mayhem. We always watch Only Connect and as I'd not read the blog, we were amazed to see you on a team!! Not that you're not up to it of course, just surprised. Why isn't it Wednesday yet??? So exciting! Keeping my fingers crossed it's news of another series or a Christmas special. I love Cabin Pressure, it's one of my fav radio series. What a long holiday you were on! Kidding. Always good to see an update, sir, and I am excited about the CP news (I certainly hope it's good news)! Just last night I re-listened to Vaduz, Cremona, and Ottery St. Mary on a long flight. Wonderful stuff. Take care. I made the mistake of listening to ISIHAC in the office. Hope you get to make more appearances! For what it's worth, while news on CP are, of course, wonderful, I'm actually a little more excited to read that you are intending to revive this blog. I've been an avid reader for years, albeit not much of a commenting one, and I kind of miss your drawings and observations on life, the world, badverts and such ... So, if that's not too much to ask, could we maybe have some of those again, too? It's Wednesday! I'm excited, tell me now! Please? Hello honey! Wake up, wake up!!! 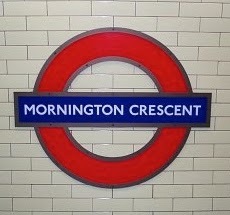 You were a bit naughty in 'Mornington Crescent'. I think you rubbed one or two of the others up the wrong way. You do know the rules, don't you? I have range of tried and tested Love Spells which range from bringing back a lost love, to break-up, spells which can return your soul mate from another and back into your arms. I can cast a spell for any occasion and I can construct custom spells designed around your wishes. (1) If you want to get your ex back. (2) If you always have bad dreams . (3) Do you want to be promoted in your office. (4) You want women / men to run after you . (5) If you hotiterebenka . (7) Do you want your husband / wife will be yours forever. (8) If you need financial assistance . (9) Herbal care and more if you need any of this spell above to be cast for your sake, kindly contact me today at ozaspelltemple@gmail.com for the right solutions to your problems.